2) looking at a second hand set it says the come with inner tubes? 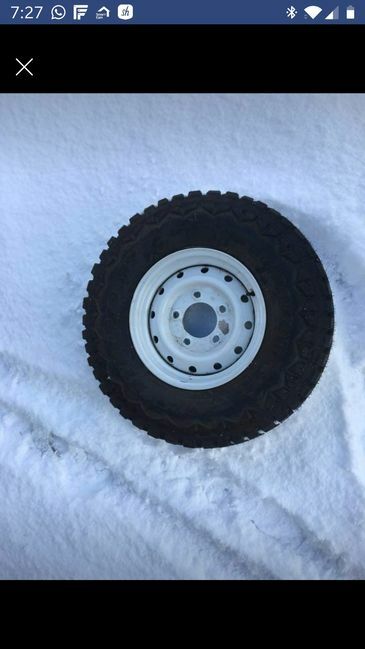 Do they have to be fitted or can audinary tyres be fitted? 1) Some say yes, most say no. 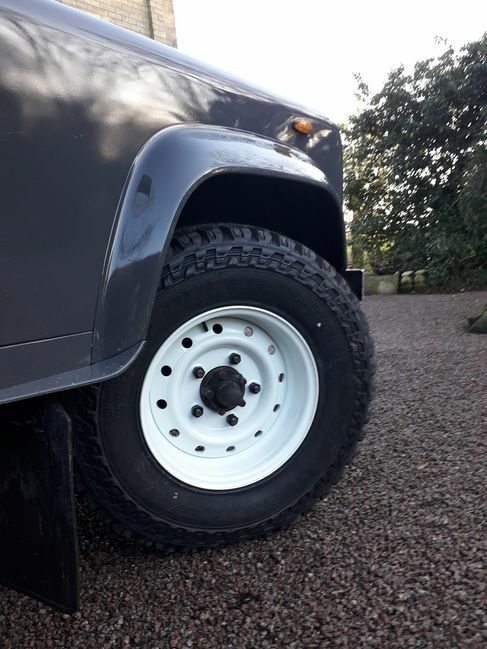 LR themselves fitted Wolf rims with standards studs, so no is correct. 2) There are two variants of Wolf rim, one for tubes and one for tubeless. You cannot fit tubeless tyres to tube-type rims, but you can fir tube-type tyres with tubes on tubeless rims. What he said. My mate is a fireman and the LR 130 tender straight from Land Rover Special Vehicles is fitted with Wold HD wheels. The top of the wheel stud is about 2-3 mm down INSIDE the wheel nut. They will also work with long studs... so there's no correct answer. For peace of mind, I fitted long studs. I tried fitting Wolf to my 1984 Ninety and wasn't comfortable that the stud was only about 3/4 through the nut. I'm sure it would be fine but for for the sake of £150, I personally didn't want to risk it. They do now protrude a long way though. the army have old and new lr with wolf wheels fitted without issue and they have a fair few and use them hard sometimes. eg 3.6 and 3,8 ton 110 and 130 and thats before they overload them with folk and their kit. there are tech bulletins from lr on the subject if you ask them about it im sure they will share the info with you. Britannica Restorations mentions in that the British Army used standard studs but applied higher torque to the bolts: 170Nm. The nuts should be tighter for the Wolf steel wheels, that is correct. The question of stud length and nut torque has discussed many times before on this forum.